A Pakistani militant leader with a $10 million bounty on his head over his alleged involvement in the 2008 Mumbai terror attacks now has a new target: a Bollywood film that imagines him being assassinated. In a twist worthy of a movie itself, a lawyer for Hafiz Mohammed Saeed wants to ban the upcoming film 'Phantom' from being shown, arguing it is Indian propaganda meant to hurt the image of Pakistan abroad. But beyond the choreographed mayhem of the film's imagined, perfectly coiffed Indian spies, the movie's premise lays bare the anger still felt over the Mumbai attacks that killed 166 people, including six Americans, as well as tensions between the two nuclear-armed rival countries. "I am surprised and amused that a wanted terrorist has gone and filed a petition," film director Kabir Khan recently said, according to the Press Trust of India news agency. "He is the one who is spreading hate agenda and he is opposing the film, without even knowing what the film is about." Spy revenge films are nothing new, like 'Zero Dark Thirty' focusing on the US special forces raid in Pakistan that killed al-Qaida leader Osama bin Laden or 'Munich,' the Stephen Spielberg film on Israel's retaliatory assassinations of Palestinians over the 1972 Olympic Games attack by Black September. In 'Phantom,' based on the novel 'Mumbai Avengers' by S Hussain Zaidi, Indian spies target those behind the Mumbai siege, a three-day rampage that saw gunmen attack two luxury hotels, a centre and a busy train station in India's financial capital. But unlike the novel, which used pseudonyms for those accused of plotting the attack, 'Phantom' apparently names Saeed, as well as American David Coleman Headley, who was sentenced to 35 years in a US prison for his role in planning the siege. 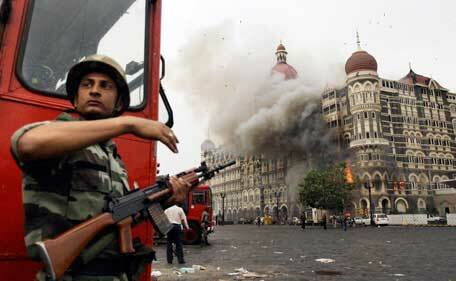 Authorities in the United States and India blamed the militant group Lashkar-e-Taiba, long believed to be used as a proxy by Pakistani intelligence agencies against India in the disputed Kashmir region, for carrying out the Mumbai assault. 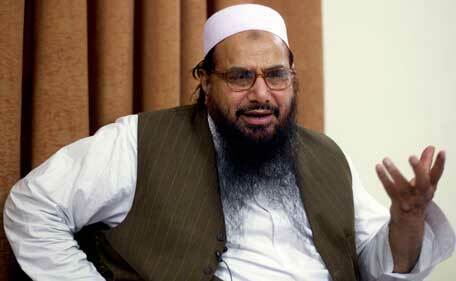 Saeed, who founded Lashkar-e-Taiba, now runs the charity Jamaat-ud-Dawa, which India says is a front group for Lashkar. Saeed denies having any links with the militancy now. The fact Saeed is named in 'Phantom' puts him at risk, lawyer A.K. Dogar told The Associated Press. The movie's "trailer shows that this film is against Hafiz Saeed and has posed a serious threat to his life," Dogar said. He wants 'Phantom,' due to be released Aug. 28, to be banned from showing in Pakistan. He'll argue his case before a Lahore court on Thursday. Saeed remains free in Pakistan to address crowds and lead anti-India protests. Pakistani authorities once briefly detained Saeed, who has a $10 million US bounty on his head. Seven other suspects remain on trial, though the attack's alleged mastermind, Zaki-ur-Rehman Lakhvi, has been free on bail since April. A suspected Pakistani spy service contact for the group, known as 'Major Iqbal,' also has yet to be identified or captured. That continues to anger many in India, including 'Phantom' star Saif Ali Khan. "America struck Osama right in his home," Khan growls at one point in the film's trailer. "Why can't we do the same?"